18 Sound high performance subwoofers, bass and mid-bass speakers. If you are looking for the best loudspeakers for your cabinets, then 18 Sound has the gear you are looking for. These high-powered speakers are perfect as replacement drivers for your cabinets of any size. If you are looking for the latest in neodymium subwoofers, 18 Sound has them. Check out the full line of products from small 8-inch speakers to the fantastic 21-inch subwoofer that will blow you away! Only a 21" subwoofer can roll your socks up and down! And Eighteen Sound has the best. If you want killer lows, look at these bad boys! Ferrite or light-weight neodymium. We carry a wide range of Eighteen Sound 18" subwoofers in both ferrite and neodymium magnet type. These high-power subs can take the heat and keep rocking'! Find the right 15" replacement subwoofer to match your cabinets. Eighteen Sound makes some of the best high-powered speakers, including neodymium, that can handle whatever you can dish out. When you need a great replacement 12" bass or mid-bass speaker, look to Eighteen Sound. Find the right driver for your cabinet at a economical price. If you need a tough 10" mid-bass speaker for your line array or 3-way cabs, look to Eighteen Sound for some heavy-hitting speakers. Large magnets or light-weight neodymium, these guys are monsters. Check out our selection of some hard performing 18 Sound 8" mid-bass and midrange speakers available now! 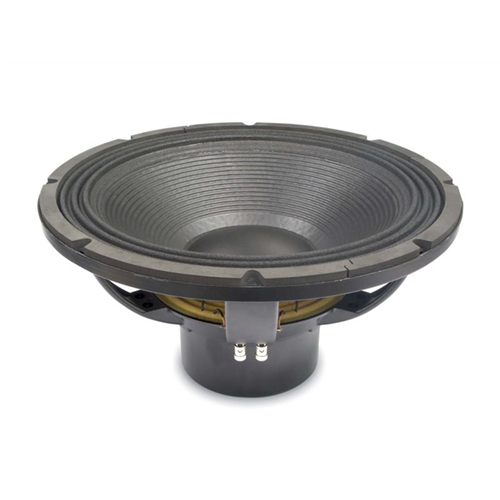 Find the right replacement 8" mid-bass speaker for your cabinets. Take a look at these awesome 5-6" replacement speakers. They are perfect for many of the small 2-way cabinets used as monitors for bands and studios. Available in neodymium, too. Need to get your 18 Sound speaker fixed? Check out these redone kits that will get you back in the game. Loudspeakers plus will help you get it done.